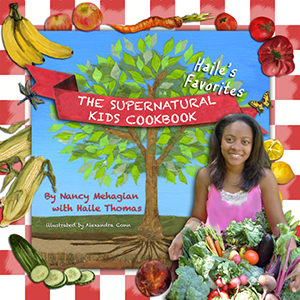 Culinary sorceress Nancy Mehagian teams with celebrated health educator/junior chef Haile Thomas to create and curate a special collection of kid-friendly tasty and healthy "supernatural" recipes the whole family will love. 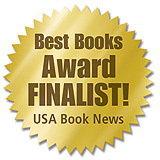 Set primarily against the backdrop of the turbulent Sixties and early Seventies, Siren's Feast, An Edible Odyssey, tells the tale of a rebellious daughter who foregoes the safety and security of suburban American life and sets off on an adventure that leads her to some of the remote outposts of the world. As a first generation Armenian-American, whose family narrowly survived a genocide, the constant that remains with her is a passion for food and cooking-the remembered flavors of home, tradition and lives long forgotten. During her seven year odyssey, she encounters mystery and magic in Morocco, has a romantic idyll on the Emerald Coast of Sardinia, establishes the first vegetarian restaurant on the island of Ibiza in Spain (today the party capital of the world), journeys to the East in search of love and enlightenment in the Himalayas and, during a stint as a cabaret dancer in Aleppo, Syria, falls in love with a Bedouin gypsy, resulting in the birth of a daughter. A series of mishaps leads to her sixteen-month incarceration, along with her baby, in an infamous London prison, where she manages, even there, to pioneer a new and healthy way of eating. 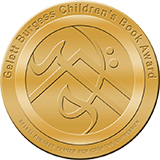 The journey comes full circle when she returns home and finds her true purpose and meaningful work through an enigmatic teacher of an ancient healing art and comes to understand the value of family, friends and true spiritual nourishment. 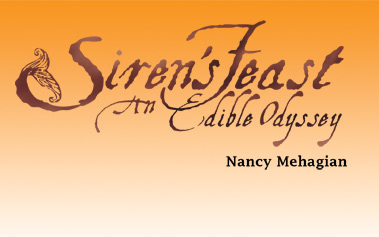 Siren's Feast contains over 40 mouth-watering recipes, representing well-tested originals as well as old family recipes.